Thanks to all the volunteers who helped on the 4th November with the fall work party at the trails and thanks to our land owner, Ron Gatis, welcoming us back for the winter. The trails are in good shape and will operate as usual with snow-cleared parking from route 9, and a port-a-potty which will be placed at the parking lot a few days after we groom the first track. 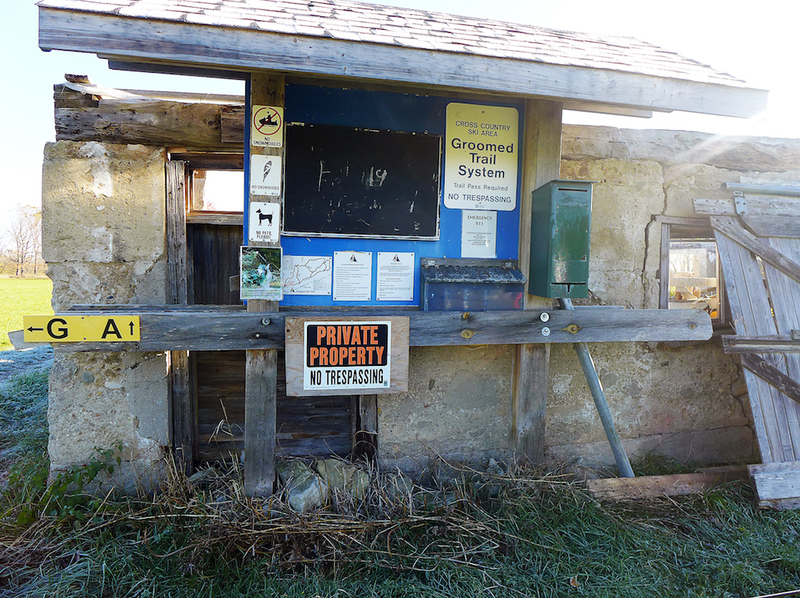 A cash box and day passes will be available at the side for non-members and member’s guests so they can sign the waiver and contribute to the trail maintenance. There is a change in the organization. Martin Kerr, trail captain and groomer for years, passes the task to your new trail captain, Richard Bonert and Neil Sim, your groomer. Many thanks Martin for a great job done for the Bruce Ski Club. The new team is not new to the Bruce Ski Club. Richard was trail captain at the Rankin Trails for 8 years and Neil groomed at Sawmill for several years. We looking forward to keep the Colpoy’s trails in shape with the help of other volunteers and wait with you for the snow. We wish you a good winter for skiing, see you at the Colpoy’s Trails.